Ritz Carlton Coconut Grove Weddings are some of the finest in Miami. I love the venue, the people and the overall feel of this place. 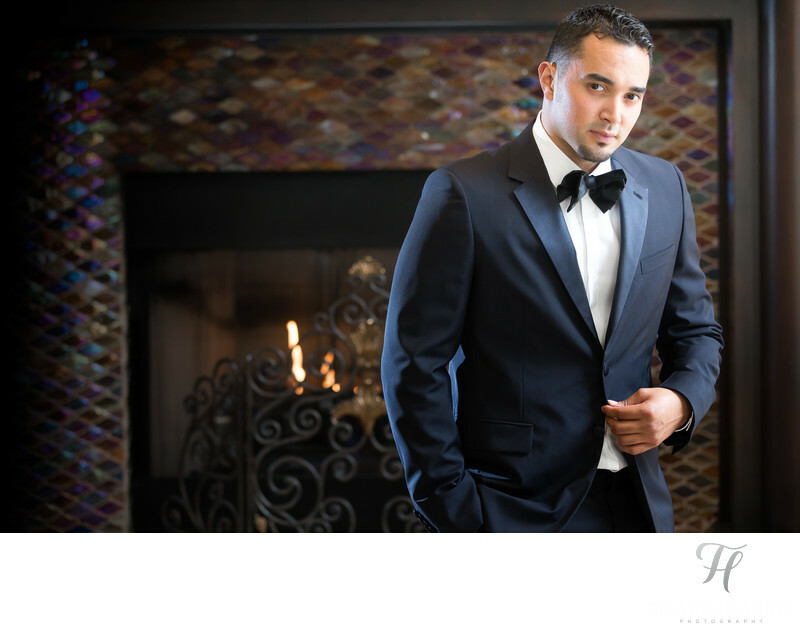 I also very much love the type of clients it attracts (such as my pro ball player groom in this shot in the main lobby when he was getting ready for the wedding day). and... this is a BIG however. There is one thing you may want to know about this hotel (and many others like it). You CAN NOT shoot images ANYWHERE on the property unless the wedding is actually going to happen on site. In this case, we were using the hotel for getting ready, and the wedding was actually at Vizcya (even nicer lol) It was a given (so we thought) that it would be okay to get shots in the lobby of the hotel since they paid for many rooms there to get ready in on the wedding day. I was floored when security came up shortly after this shot was taken, and said "you need to leave". They did not care it was a wedding, they did not care there was no one around, they did not care this would only take 2 seconds. They were rude, and "by the books" about it, and simply said NO. So, as much as I love the Ritz Carlton.. this is something everyone needs to be aware of. I am not going to sit here and blame them, they have every right to whatever rules they want to make up, however they need to do a MUCH better job at communicating this to wedding clients! You can also read about more of the issues we had at this nice wedding over on my blog post here. Location: 3300 SW 27th Ave, Miami, FL 33133.